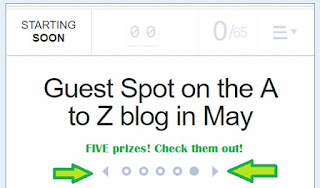 Blogging from A to Z April Challenge: Day Eight #AtoZChallenge Book Reviews, Tour, and Blog Hop! Day Eight #AtoZChallenge Book Reviews, Tour, and Blog Hop! To meet other bloggers and promote my website! Keep coming back to the A to Z blog every weekday this month so you don't miss any of the First Annual #AtoZChallenge Book Reviews, Tour, and Blog Hop! Pett Wed 13.txt Displaying Pett Wed 13.txt. Just to clarify, my twitter handle is @jemima_pett, but the link above will take you there okay!